Deshawn White, once dubbed “the King of East Tennessee” has seen almost everything life could throw at you. From growing up in poverty, to controlling his own destiny in the music business. But as everyone is fully aware, things aren’t so cut and dry. White has had run ins with the law and battled his own personal demons, but has made peace and is now using his passion for music to, not only help his community, but deliver a message of strength and resilience. The GM’s Perspective: Tell me about your music background and style. 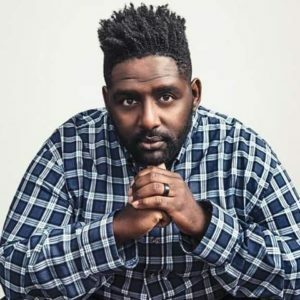 Deshawn White: I’m more of a conscious hip-hop artist. I grew up in a poverty stricken community and have been playing music since I was 12 years old. There was a lot of gangs and a lot of violence and I used music as a way to express my pain. It started out as poetry, but ended up being put to beats and became hip-hop songs. Music is a tool to me. It’s a universal language and a way to tear down walls. It’s a way to reach people you never thought you’d be able to connect with. GMs: In your bio you said overanalyzing resulted in lost relevance as an artist. Can you elaborate? DW: We are our own worst enemy and hardest critic. This was true to a polarizing measure for me. I would work on albums and spend a lot of money to produce an album and I was never satisfied. I’d hear about new artists coming out or I’d try to change my flow right when the project was complete. I needed to one up the new person coming out and I’d start from scratch. And before I knew it, I’d find myself in this habitual pattern of never putting music out. Music is ever changing. And if you don’t have your identity as a man or an artist set in stone, you can always be swayed by the next hot thing. It kept me from putting out new music for a long time. I released my first album in 2007 called “My Story”. It was big in the city and I was all over the radio. I was one of the first artists to be on regular rotation in my hometown. I was opening up for celebrities when they’d come in to town and very relevant. After that first hit, I could never really put together another solid record. From 2007 until 2014 I didn’t put an album out. I didn’t put a studio album out. I had a couple of mixtapes I released but they were not official albums. I really put music to the side around 2010 and 2011 just so I could really find out who I was, who I believe God was, and what my purpose was. I came to that realization, funny to say, at a Lil Wayne concert. The best way I can describe it without sounding crazy was that I had a vision. It was like a movie in front of my face. When I opened my eyes, it felt like the weight of the world was on my shoulders and I knew that my sin and the way I was living was killing me. If I didn’t make a change I was going to die. After a lot of soul searching I was going to put my faith in the Lord Jesus. GMs: You had a run in with law that got you back on the straight and narrow. How did that experience reshape your life? DW: Prior to being on the right path, I was involved in some bad stuff. I was arrested on drug charges in 2012. The charges didn’t stick. From that day forward I’ve continued to put my faith in God. I’ve served and volunteer with the church, served as a pastor, worked with the youth, and travelled the world preaching the gospel. Fast forward to 2015. I finally released a studio album called “Before The Ceiling Falls”. There wasn’t a lot of promotion behind it and it didn’t do that well, but is now actually doing better than ever. Come 2018, I started working on my new project “Power Trip” that will be released on April 23rd, 2019. It’s a six song EP and my third studio project. 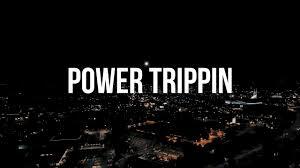 The Power Trippin music video is nearing 100,000 plays on YouTube, and I’m being played on over 40 radio stations across the US. Labels are very interested in what we’re doing! GMs: How do you think your story has helped others? DW: I’ve made music that talks about my depression. I’ve had people who were really struggling come up to me and say they heard my songs and it was exactly what they needed to hear at that time and kept them from doing something that they’ll regret. I’m from the projects and to show others that you can live a righteous life is awesome. GMs: You’ve done much of your promotion and branding by yourself. What’s it like to see the kind of success you’ve had? DW: It’s just like God to wait until now to give me a platform like this now. He prepares us before he opens the doors he has called us to walk through. I’ve had success, but I’m actually growing faster as an artist and gaining more popularity now than ever before. There’s been more streams in the past three months than in the past four years. The most important team I have is my wife and son. They have sacrificed so much to allow me to travel and spend all the time I need in the studio. I also have an amazing family at the church who supports me. Funny enough, there are many churches who don’t support me. They see me making mainstream music and they don’t understand that music is my tool to reach the lost. It’s not made specifically for the church. I do plan to create music more geared towards the church as well. The people directly in contact with me fully support the journey and want me to succeed. They understand that I’m on a mission to reach the unchurched. GMs: You’ve been very open about your challenges. What’s one piece of advice you can give someone who is going through a tough time right now? DW: Never lose hope. We all go through seasons of hard times. Some have longer and darker seasons than others but we all go through them. Always remember that you are not the only one going through whatever you are going through. Help is always available. There’s a God who loves you and is willing to walk through the good and the bad with you. Just call on Jesus and he will be right there providing a peace that surpasses all understanding. Despite what most people might tell you, He loves you! Sometimes life will hurt like hell but in him, there’s peace, joy, and hope through it all! He is here to set captives free so if you are bound by something, allow him to break your chains.